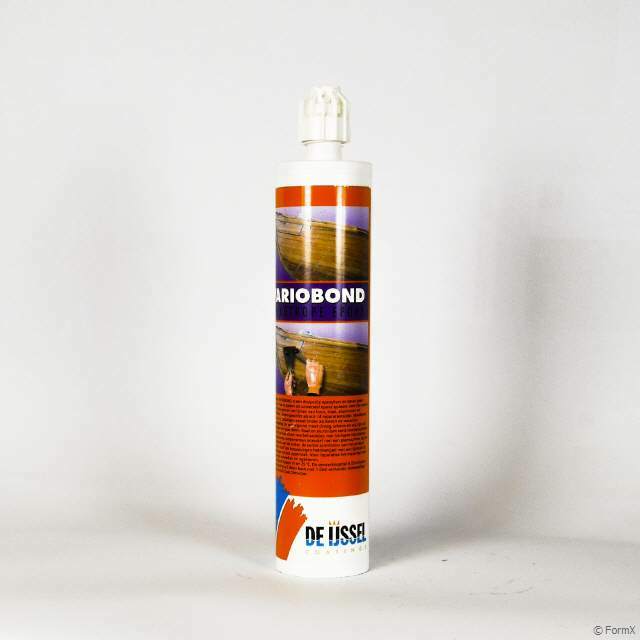 Drip-free epoxy adhesive without solvents. To apply for permanent bonding of various materials. Suitable for making fillet joints, etc. Color: opal. 1 kg. 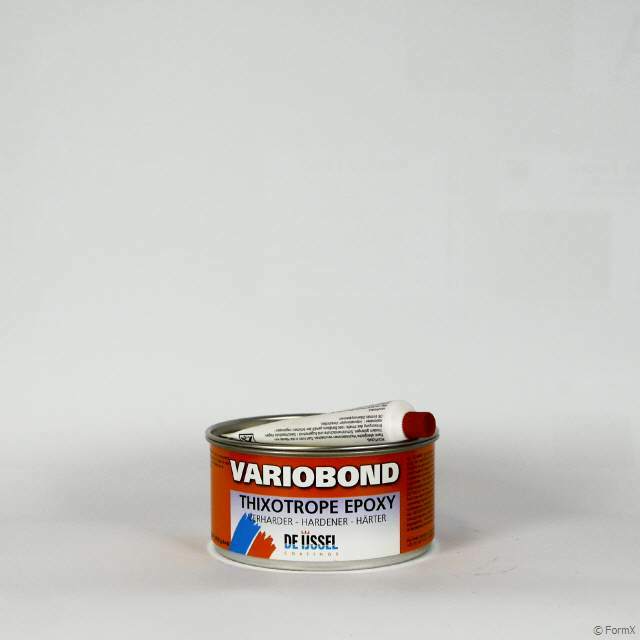 Variobond is a drip-free epoxy paste, free of solvents with a polyamine adduct like hardener. • Also available in bulk packagin for machine dosing. About to paint after: at least 24 hours, see additional information. The practical return depends on an on many factors, such as the shape of the object, the condition and profile of the surface, the method of application, the weather conditions and the craftsmanship of the applicator. 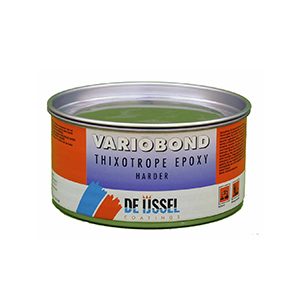 Wood: dry and free of grease, contaminants, loose parts and others impurities, moisture content maximum 12%, pre-treated with Variopox Injection resin and sanded with grit P120. Metal: dry and free of grease, contaminants, loose parts and others iniquities, pretreated with a suitable primer such as for example IJmopox ZF primer and sanded with grit P120. Stony: dry and free of grease, contaminants, loose parts and others surfaces iniquities, sucking or absorbent surfaces pretreated with Variopox Injection resin and sanded with grit P120. Polyester: dry and free of grease, contaminants, loose parts and others uniquities, exposed glass fibers pre-treated with Variopox Injection resin and sanded with grit P120.